At the start of the year, Geoff Johns teased his return to comics writing with a simple teaser image: The glowering brow of Watchmen’s Dr. Manhattan. Now we know just what he’s up to, and it has huge ramifications for the DC comics universe. Revealed through Blastr today, Johns is teaming up with Gary Frank and Brad Anderson for a new standalone miniseries called Doomsday Clock, which promises to continue the story told in the initial Rebirth comic special and is currently ongoing in the pages of Batman and The Flash in an arc called “The Button”—namely, the story of how the world of Watchmen will be wrenched into the world of DC Comics at large. It is something else. It is Watchmen colliding with the DC Universe. It is the most personal and most epic, utterly mind-bending project I have ever worked on in my career. With Rebirth, I opened the door to Manhattan. Part of that was I loved the real-world influence Watchmen has. I put Manhattan out there, and always thought there was a Manhattan/Superman story to be told, but then... it grew. And grew. It took my heart and soul over. Still, at the core of it, there’s a being who has lost his humanity, and distanced himself from it, and an alien who embodies humanity more than most humans. I love the idea that Watchmen influenced DC, but what would that look like in reverse? And it goes well beyond that. 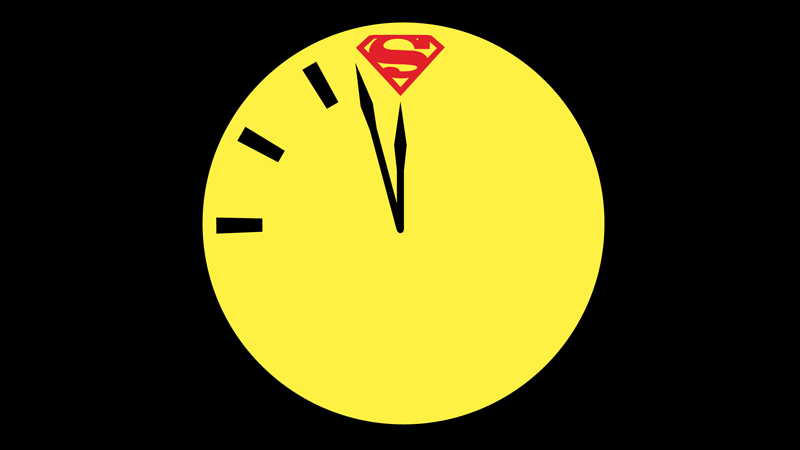 DC promised a slow burn when it came to tackling just how it will bring Watchmen into the DC Universe, and it’s going to be a while before we see just how it all comes together; Doomsday Clock won’t begin until November this year. But with the final part of “The Button” in Flash #22 due out this week, it seems we’ve only gotten a hint of what’s really coming.